(Bridgewater, N.J., Feb. 17, 2017) - The Somerset Patriots have announced that left-handed pitcher Jeremy Bleich has been signed by the Arizona Diamondbacks. The Louisiana native went 2-2 with a 2.45 ERA over 17 relief appearances with the Somerset Patriots in 2016. Additionally, Bleich struck out 28 batters against just three walks in his 22 innings of work. Earlier this week, Bleich was selected to represent Team Israel in the WBC. The southpaw allowed one unearned run with three strikeouts over 2.1 innings pitched for Israel in the 2016 WBC qualifiers. He has played in the New York Yankees, Pittsburgh Pirates and Philadelphia Phillies organizations, including three seasons of Triple-A service. Bleich was originally drafted by the Yankees in the 1st round (44th overall) of the 2008 June Amateur MLB Draft out of Stanford University. 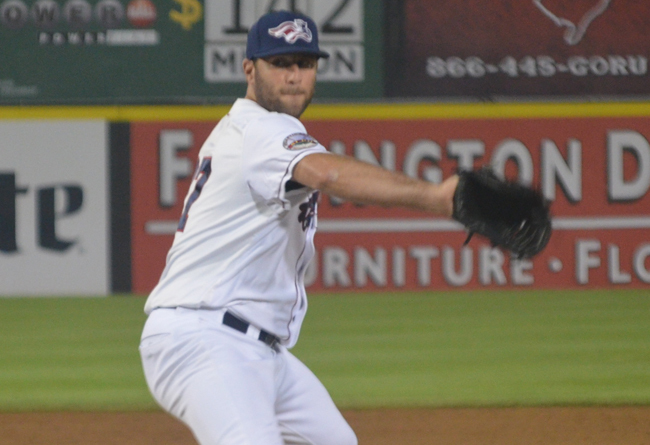 Bleich played in three-straight seasons at the Triple-A level from 2014-2016, including most recently with the Lehigh Valley Iron Pigs before joining the Somerset Patriots. He also went 4-2 with a 4.14 ERA and 23 strikeouts in 41.1 innings pitched last season in Double-A Reading. The left-hander compiled a 2.60 ERA and 11 strikeouts in 17.1 innings for the Triple-A Indianapolis Indians in 2015. Bleich has a minor league career 3.82 ERA with 446 strikeouts in 553.2 innings over 198 games. Bleich is the eighth member of the 2016 Somerset Patriots team to join a Major League organization. Starting pitcher Darin Gorski (New York Mets) along with relief pitchers Gus Schlosser (Los Angeles Dodgers) and Brandon Sisk (Seattle Mariners) all had their contracts purchased during the season. Left-handed pitcher Nik Turley (Minnesota Twins), infielder David Vidal (Miami Marlins) and right-handed pitchers Alexis Candelario (Los Angeles Dodgers) and Jim Miller (Minnesota Twins) were all signed earlier this offseason.